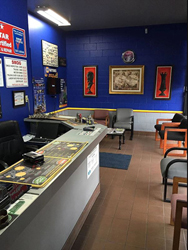 **Cox Auto Service is Your Complete Automotive Service Center for Cars, Trucks, & Motorcycles! FREE LOCAL TOWING WITH MAJOR REPAIR! Test Only, Test & Repair, Star, & Smog Only, WE DO IT ALL! Cox Auto Service Offers Auto Repair Services You Can Count On! Since 1998, Cox Auto Service has provided motorists in the Vista, CA 92084 area with comprehensive auto repair services that include General Services, Car & Truck Care, Smog and Emissions, State Required Brake & Lamp Inspections, Undercar Services, Alignment, Brakes, Engine & Transmission, Engine Maintenance, Transmission Services, 4x4 Services, Heating and Cooling Services, Electrical Services, Electronic Services, Miscellaneous Services, Domestic Cars & Trucks, Import Cars & Trucks, Towing and Quick Lube Services. Our goal is to offer the best services available at affordable prices to get you back on the road in no time. For a high-performing vehicle, trust Cox Auto Service with your car, truck, or van. To learn more about the services we offer, please contact us by phone at 760-643-9111 or send us an email. 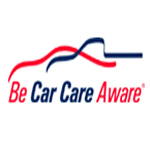 I have been taking my cars to Alex for all major and minor issues for over 6 years now. Excellent service, honest quotes, efficient and timely workmanship. I am very pleased with the way they explain exactly what is wrong and what needs to be done. 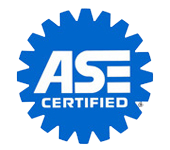 I go out of my way to recommend these guys to anyone that needs their car serviced. I have been doing business with Cox Auto Services for a long time and they're trustworthy. I had a bad throttle sensor and needed it to be repaired. Instead of charging me $1800 plus tax, they informed me to take my car back to the dealership to have it fixed for free. I was willing to pay to have my car repaired but they saved me hundreds of dollars. I have been very impressed with Alex and his staff's excellent customer service, quality work repair and very reasonable prices. Recently, Cox Auto Service repaired my car and replaced a bumper. My car looks and runs like new. The Honda dealer had quoted me a price more than double of what I ended up paying at Cox Auto Service. 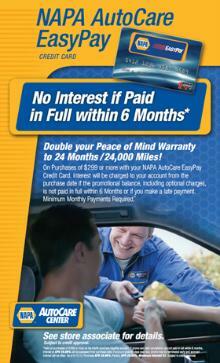 So I saved a large amount of $ with Cox Auto Service and received prompt service. I highly recommend Cox Auto Service for auto service/repairs and smog services. Their staff is friendly, informative and trustworthy. Thank you Alex! Best in the west!! Every visit I make, I leave amazed! They are the most honest, hard working auto mechanics you will find! I go to them for anything I need done. They are also more than fair when it comes down cost. Alex will make you feel like family, and his crew will make sure your car treats you right. Good service, good people, professional! Had a great experience here, Alex is a great guy that gives you the best price every time! The whole staff is friendly and helpful. Will definitely go there next time I need auto work. Alex is great. Honest and does what he says. Had an old Mercedes that didn't pass. He was able to repair it and I got it registered again. Thanks Alex! Great service. 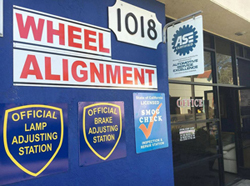 This shop does not rip you off and will take your car in without an appointment even for bigger services. They call you before they preform service and tell you exactly how much they are going to charge, before they do the work. Great people and great service. Bob really took care of me! I thought I was lost. I had planned an entire trip for some soul searching in the mountains. I stopped by the grocery store in the morning to pick up some last minute essentials and when I returned to my car.. nothing! It wouldn't start, crank.. no juice.. nothing! I walked over to Firestone and they said I had to wait 3 days for a fusible link and they couldn't help me otherwise until then. I am stuck! I ended up building my own fusible link, because I am smart like that, but it still didn't start. I called Bob at Cox Auto Repair. He said come on over, gave me a price for diagnostic, got it started in 15 minutes, and charged me way less than what he originally quoted for the diagnostic! Bob is the man and his crew are the coolest guys ever. Thank you Bob! I cant say enough about them, My Dad sent me there, I'm 19 so I'm just glad I listened ..you know how it is at 19 years old..Thanks dad.... Cox is AWESOME!!! Thanks Alex for not just helping me but my Dad as well! !My dads health isn't good thank you for Helping Him!!!! He just brought him in a car that was all he could afford , I never seen my dad cry but Alex helped him. Thank you for not just being the best mechanic but a great human being!! I appreciate the honest and hard work these guys put in. Thank you very much for taking the time to fix my car. Told my wife about this shop and she took her car there and got the same great assistance. If you you got issues with your car bring it here they will do you right! Alex and his team helped figure out what was going on with my car. I had a strange leak coming from under the seat. They tested out everything it could be, found the issues, and went above-and-beyond what I expected. Alex also brought me back to take a look at my car to make sure I understood what was going on. I asked another car repair shop, and they were so busy I wouldn't have been able to get in until next week, and they quoted about $150 more than I paid at Cox Auto Service. I highly recommend them, top notch service! I got an estimate for my 2005 Passat from the Volkswagen dealership for my transmission and it was too expensive. So I called around town to save money. Cox Auto Service did the same job for less than Half the price. They are very Affordable and Fast. I recommend all my family and friends to bring their cars here. absolutely a life saver. Thank you Alex! The only place I ever take my car! I've been bringing my car here for over 10 years!!!! Plus $8.25 CA Certificate. Vehicles 2000 abd up. HD Trucks, SUV's, Vans $10 Extra. Bar97 Dynomometer Test $15 extra. We repair Gross Polluter Vehicles.